A great way to put your farmers market produce to work is to create a delicious garden salad. With the summer heat, comes those summer flavors that you crave — sweet corn, savory peppers, and juicy tomatoes. The best thing about salads is that they only take a few minutes to prepare and will keep you full all day. Red pepper jelly adds the light tangy flavor you desire in the summer heat. 1. Place pepper jelly in a 1 c. glass measure. Microwave on high 30 seconds. Add cider vinegar, oil, salt, and black pepper, stirring with a whisk until blended. Cool to room temperature. 2. 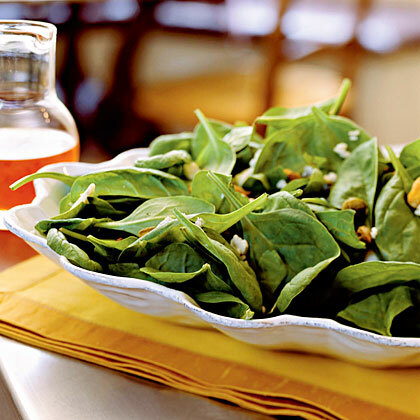 Combine spinach and cheese in a large bowl. Drizzle vinegar mixture over spinach mixture; toss well. Sprinkle with nuts. Serve immediately. Summertime usually means lots of time spent outdoors, which also means bigger appetites in the evening. 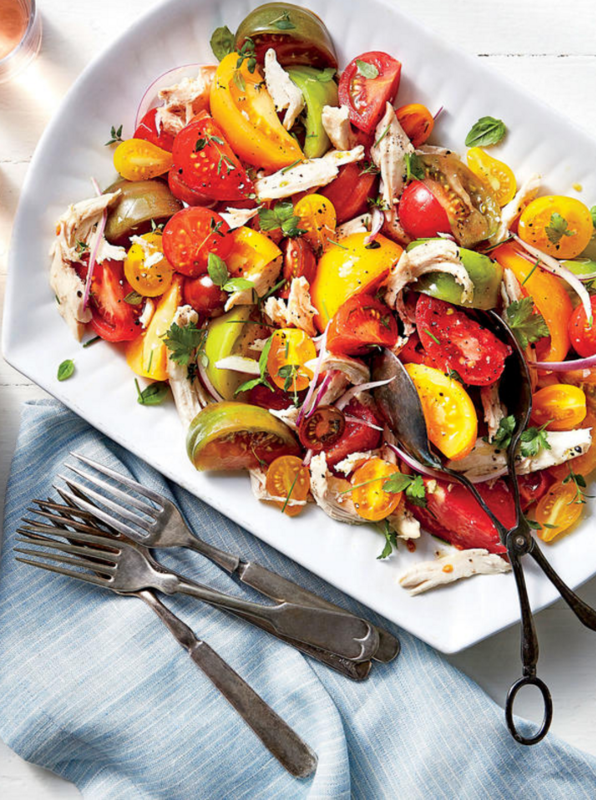 For a warm and flavorful meal that won’t leave you overly stuffed, try this heirloom tomato and chicken toss salad. Tip: Serve this salad with an abundance of crusty bread to soak up the flavorful tomato juices. For those who like to add a little heat to your meals, you will enjoy how this salad blends hot jalapeños with sweet flavorful corn. 1. For dressing, in a glass bowl whisk together vinegar, sugar, the 1 teaspoon kosher salt, and black pepper until sugar is dissolved. Let dressing stand while preparing salad. 2. For salad, cut corn kernels from cobs. 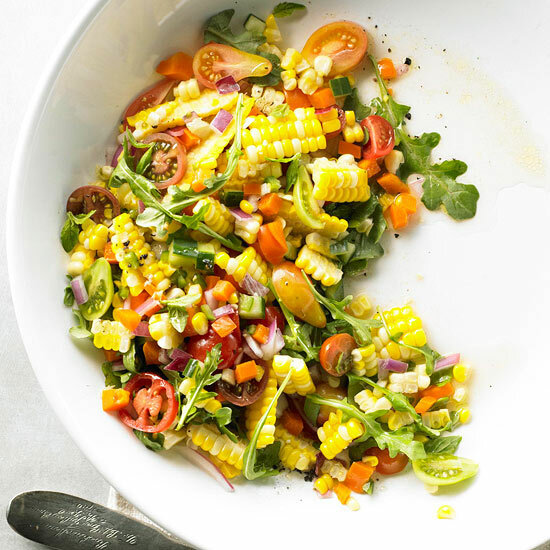 In a large bowl toss corn and remaining ingredients except sea salt and arugula leaves.